Carlingford, County Louth, was in the middle ages a heavily fortified town at the northern edge of ‘The Pale’, the territory in Ireland owned by English lords (John Murray’s (1834) Handbook For Travellers). It is now just south of the border between Northern Ireland and the Republic. 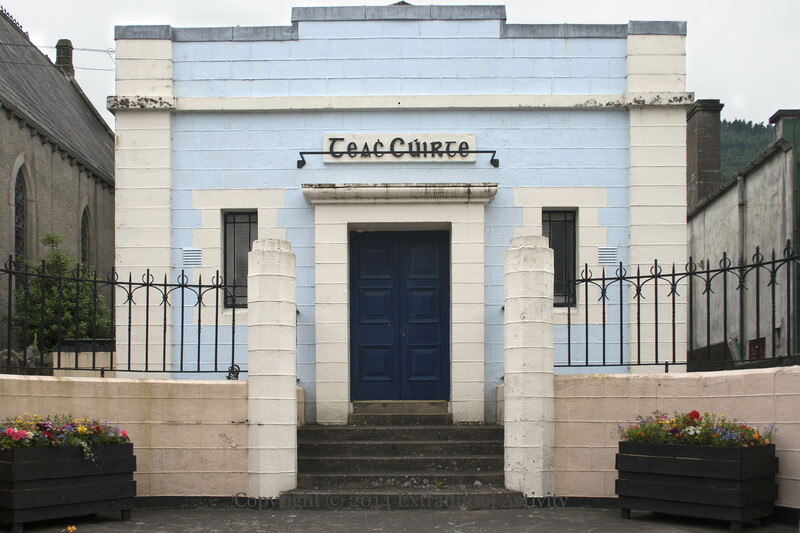 First is the courthouse (“teach cúirte”), constructed in 1935 and a library since 2008, with doors painted in the deep blue associated with the Irish coat of arms the Presidential seal. Finally, the gravestone of Captain James Boyle stands in the graveyard of Kilwirra church in Templetown to the south of Carlingford and Greenore. 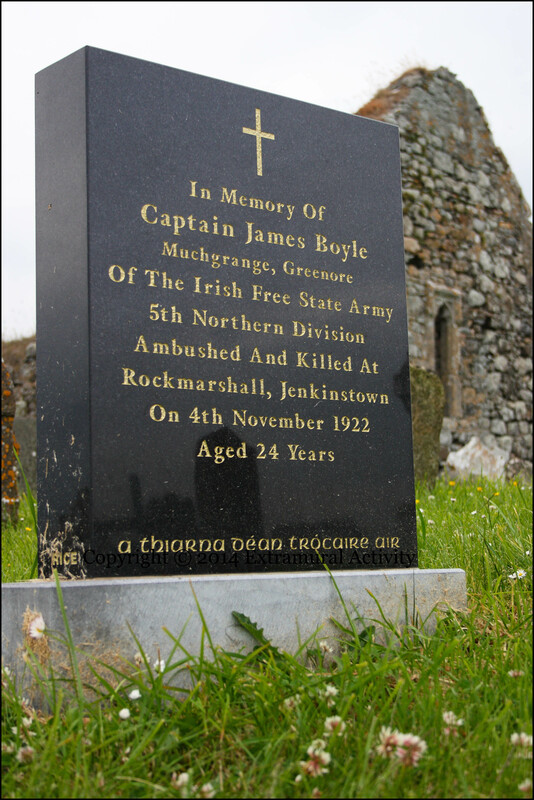 “In Memory Of Captain James Boyle, Muchgrange, Greenore of The Irish Free State Army, 5th Northern Division ambushed and killed at Rockmarshall, Jenkinstown on 4th November 1922 aged 24 Years. 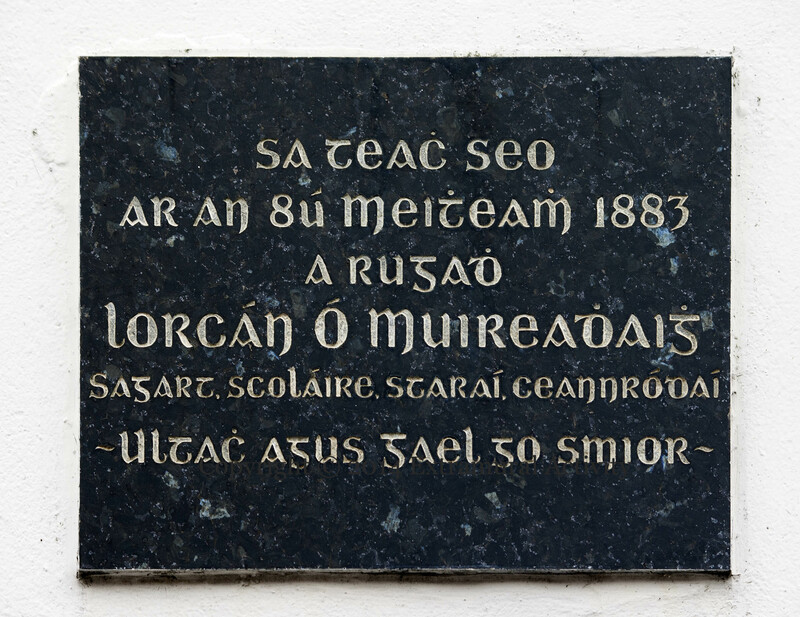 A thiarna déan trócaire air [Lord have mercy on him]” (More images of the ruins can be found at megalithicireland.) Boyle was killed along with Sergeant Peter Trainor by a mine planted by anti-treaty forces.